Looking For A Pet Grooming Salon? Kashika's Pampered Paws Is The Place To Be! 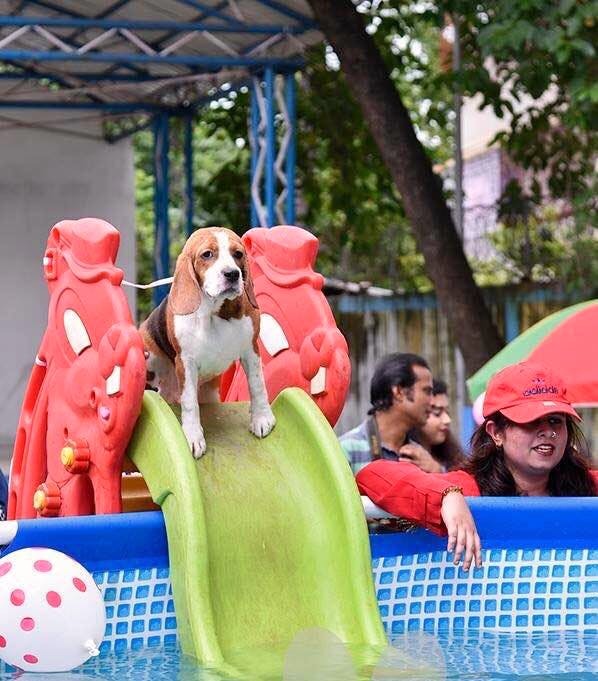 Ever thought of taking your canine friends to a pool party or a pet fashion show? Well! Kashika's Pampered Paws is the perfect place for your doggos where they can get all kinds of comfort. The pet management company not only serves as a grooming salon but also provides creche services for cats, dogs and birds. The pet grooming salon was founded by Kashika Arora on September 1, 2012 and till now it has garnered innumerable great responses. We can certainly say that Kashika is a ardent animal lover as she has adopted both Indian cats and dogs along with a Golden Retriever, Lhasa Apso, Saint Bernard and a Persian cat. Right from reiki treatments to animal communication, Kashika's Pampered Paws offers all the beneficial services for your pets. You can get your dogs vaccinated against rabies from the pet management company as well. And on the other hand, Kashika and her team provide fancy haircuts to the furry friends. You can also get their hair colored if you want. Also you need not worry about the hair coloring side effects on your pets as Kashika has herself tried on some of her pets. Kashika's Pampered Paws recently turned 5 which means you can avail exciting offers on pet grooming, animal communication and many more throughout the month of September. They will be doing free ECG for all the pooches and other pets while anti rabies vaccine charges won't be applicable for the adopted ones.